The Southwest Colorado Council of Governments officially formed in 2009 and the first items on the agenda was establishing better connectivity in the region. Fourteen town and county jurisdictions belong to the Council to capitalize on the benefits of cooperation and coordination. Each community receives oil and gas state mineral funds and at the time each wanted to use the money for local broadband infrastructure projects. The group decided to join forces and create a regional network. 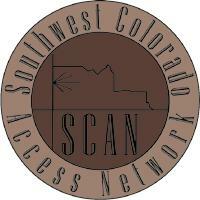 In 2010, the SWCCOG received $3 million from the Colorado Department of Local Affairs. Member communities matched with another $1 million in total. Each community will own the fiber assets and, while they are prevented from selling services to the private sector by state law unless they pass a majority referendum, they still hope to leverage their assets to attract private providers. Silverton's fiber loop is at the top of the project list because it is geographically remote and private providers cannot justify the expense of building to such a small market. SWCCOG sees Silverton as an opportunity to prove their case and entice companies to serve businesses and link to outside networks. FastTrack Communications, located in Durango, has expressed interest in tapping into the Silverton market when the loop is complete. Plans estimate completion by the end of 2013. Dr. Smith strongly recommends a regional approach for other communities considering broadband infrastructure investment. He credits much of their current success to collaboration between the SWCCOG member communities. Just as crucial, he says, is collaboration with private companies like FastTrack. Smith notes that SWCCOG invited large providers to participate two years ago and 25 or 30 seemed interested. Over the next two years all bowed out except a handful of local providers.